What if you could remove the walls you have built for yourself, heal the Earth, help animals and plants, rid yourself of your fear and phobias, release old traumas holding you back, and clear self imposed fears that don't serve you? Would you? Then try ThetaHealing®. ThetaHealing® can help if you are lonely, sick, tired, feel a need to help others, have a desire to improve the planet, need answers or want to claim your birthright of being part of All That Is. If connecting to the divine spirit that intertwines and binds everything in existence appeals to you, or if you like realization and results, ThetaHealing® might be just what you need. ThetaHealing® allows you to enhance your abilities within your career and can even show you which career path to take if you are at a crossroads. Again, negative beliefs, feelings and programs can make you feel very stuck. ThetaHealing® helps to clear these “stuck” feelings and gives you back the drive, energy and enthusiasm to use the gifts the Creator gave you. ThetaHealing® clears blocks and obstacles you may be experiencing within your creative expression. By allowing a deep healing to take place, unlimited creative energy will flow within you and project outwards for all to see and experience, thus enhancing your writing, acting, singing, dancing, painting, drawing, poetry, photography and all other areas of creative expression. ThetaHealing® can help you release negative emotions that are not serving your highest purpose. Instantly resolving deep negative emotional issues is a truly amazing experience that will transform your life. Deeply held negative emotions will cause you emotional and sometimes physical pain. Accessing the root causes and changing them will bring resolve with remarkable effects. Negative beliefs surrounding finance and money are rife in the world today. Develop a healthier relationship with money and watch how abundance fills your life. ThetaHealing® helps to open up your belief system around what true wealth really is and provides exiting new tools of how to move forward. Life is about balance, and if you’re not having any fun, you're not fully living. ThetaHealing® allows you to get to the heart of any issue and resolve it, bringing healing and inspiration that will leave you loving life and feeling amazing. ThetaHealing® can help you understand the true root of any health problems you may be experiencing. By performing an energetic body scan, your ThetaHealing® practitioner can see what is going on within your body and find out the negative emotions, feelings and beliefs that are causing it. 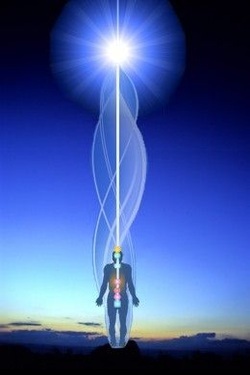 ThetaHealing® can also re-energize your entire being, giving you back your vitality. It's easy to feel very disconnected and unsupported as a result of your upbringing or childhood experiences. ThetaHealing® gives you the ability to truly know what it feels like to have a healthy home and a family’s love and support, helping you to feel vibrant and supported. Your subconscious mind accepts all the statements you feed it. It doesn’t question them: it just begins to act upon the statements immediately. For this reason, it is actually comparatively simply in the theta state to release negative emotions or thought patterns and instill positive ones into your subconscious mind. This is why accessing the subconscious mind via ThetaHealing® can have such a powerful effect. By bypassing the conscious mind, you can insert any desirable affirmations, statements and beliefs directly inside your subconscious. So if you think true enduring change is impossible, think again! Almost everyone will experience setbacks on their journey that may leave them feeling inadequate. ThetaHealing® will help you in areas such as low self-confidence and lack of self-esteem by finding the root cause and replacing it with positive feelings, confidence and the ability to shine again. ThetaHealing® can positively enhance your spiritual journey by allowing a clear and direct communication with the Creator of All That Is. This will boost your spiritual growth. Negative beliefs dealing with your relationship with God can be resolved and replaced with a pure connection to the Creator of All That Is.